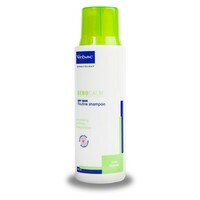 Sebocalm is a gentle shampoo designed for routine use in both dogs and cats. An emollient shampoo, hypo-allergenic, soap free, lemon scented with a neutral pH 7. Designed to be moisturising to maintain optimum skin and coat condition even with frequent use. Contains Urea 5% and Glycerine 1%.